Today, we're all about patterns! Sometimes all you need is a couple beautiful patterns to create a stunning photo book theme. When it comes to patterns, leave it to designer Ashley Goldberg. Ashley Goldberg has loved arts, crafts, creatures (both imaginary and real), and nature her entire life. Her artwork tends to be narrative and simple, but with a sophisticated or stark color palette. Her body of work includes paintings, illustrations, pattern design, and portraiture. Goldberg's work focuses on mark making, color exploration, and visual storytelling. Ashley's recent work can even be found in your local Target stores or online! Her partnership with Blue Sky planners has really shown the flexibility of her art. 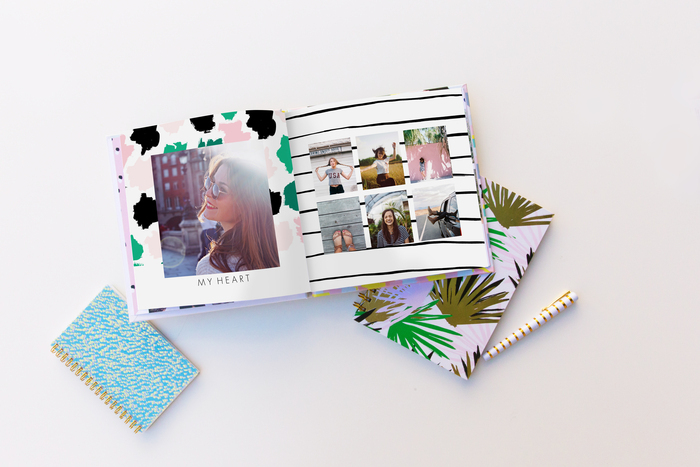 We were so thrilled to have Ashley design for Mixbook. 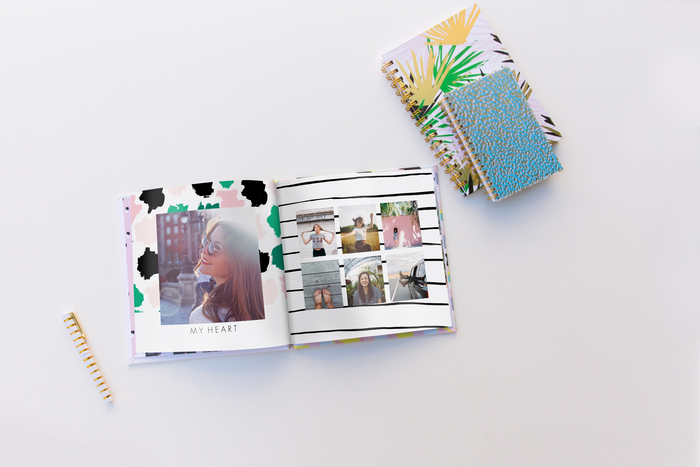 It made so much sense to get her trendy designs into a photo book theme. Painted Patterns by Ashley Goldberg is perfect for everyday photo books. Her patterns are so fun and pleasing to the eye--the perfect mix of colors! This book would look beautiful displayed on coffee tables, desks, or your bookshelf. We're so excited to have partnered with Ashley on this design, and hope you love it too!